This site-specific piece, constructed by Becky Robinson-Leviton and Hannah Westbrook, was inspired by the beautiful site of the Lincoln Park Steps and the multitudes of people who use them each day. 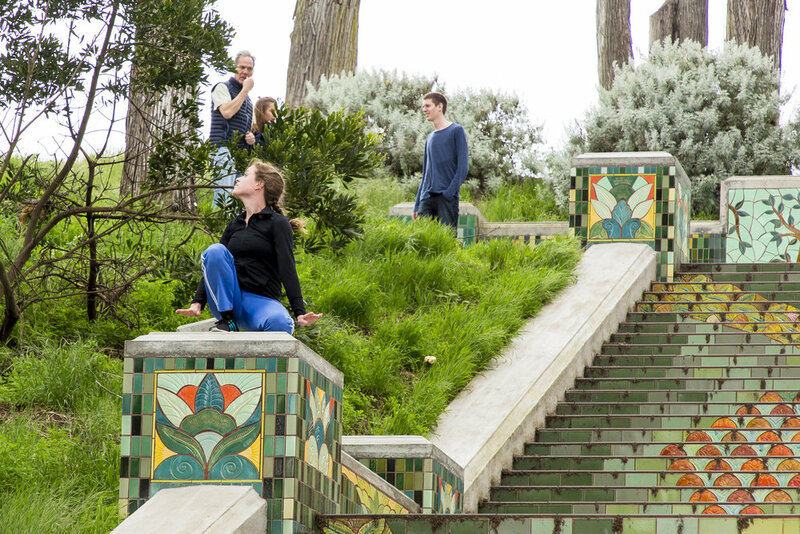 From tourists, to instagram queens, to joggers, animal-walkers, and people of all ages, races & genders, these steps provide a rich peek into the constant flow of life out here in one of the beloved nooks of SF. We received a special shout out on KQED's The Do-List. Listen here! (final 1/4 of program).